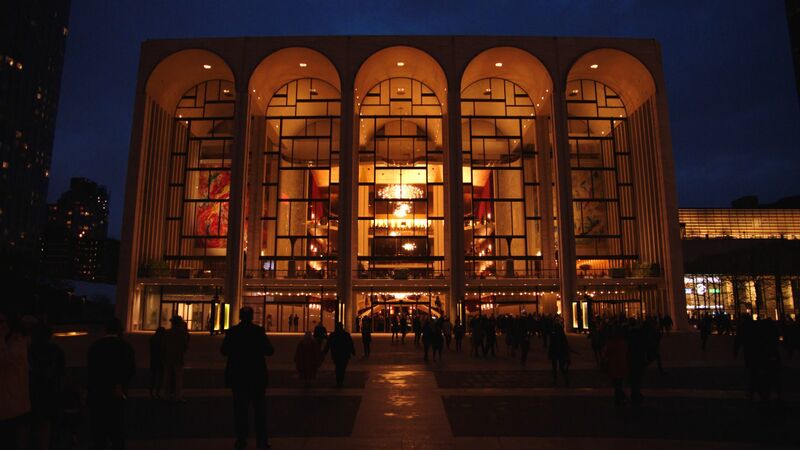 The Metropolitan Opera, founded in 1880, is a prized jewel of New York City’s cultural treasures. The 2018-19 season includes Wagner’s Ring cycle and internationally renowned artists such as Elīna Garanča, Joyce DiDonato, Jonas Kaufmann, Ambrogio Maestri, Anna Netrebko, and Matthew Polenzani, accompanied by the new music director of the Met Opera Orchestra, Yannick Nézet-Séguin, though some productions are led by guest conductors. Sitting in the audience at “the Met” is a stellar experience, but you don’t have to be in the opera house to enjoy its performers. The organization has always sought ways to share its artistry beyond the 3,800 plush red seats in its Lincoln Center home. 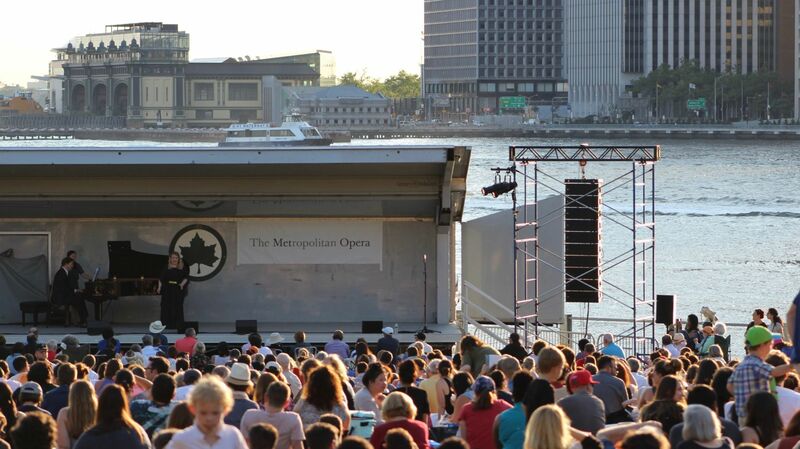 From radio broadcasts to SummerStage recitals, to movie screenings and PBS television broadcasts, read on to discover the many ways to increase your time with the Metropolitan Opera, particularly this summer. Listening to the melodies of arias and duets float through a park at dusk is a magical, rare and romantic moment in our busy, amplified city. 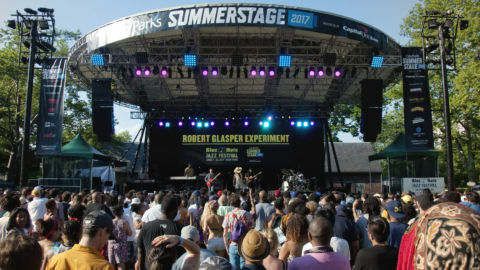 Every summer, the Met presents its concert series through SummerStage, the City Parks Foundation’s free outdoor performing arts series. Rising opera stars perform works from a variety of operas in each of the New York City’s five boroughs. This summer, the first two recitals feature Latonia Moore, Mario Chang, and Joshua Hopkins. The four subsequent recitals showcase three exciting young artists: Gabriella Reyes de Ramírez, Gerard Schneider, and Adrian Timpau. Pianist Dan Saunders accompanies each performance. The Metropolitan Opera’s Live in HD performances are broadcast nationally on public television through Great Performances at the Met, which we are so proud to produce at THIRTEEN. The series is now in its 12th season. 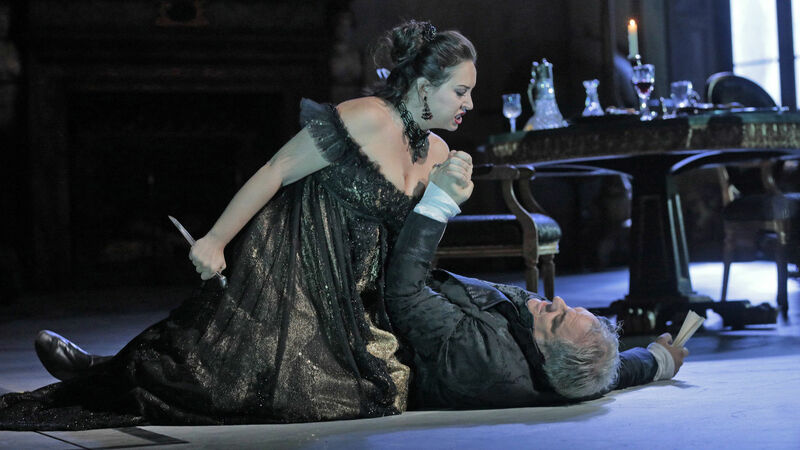 This summer’s highlight is that Tosca gets a primetime broadcast on Friday, June 15 at 9pm. All Great Performances at the Met productions are subtitled and are broadcast only – so be sure to set a reminder to tune-in or set your DVR! Tosca (Puccini) – Friday, June 15 at 9 p.m.; encore Sunday, June 17 at 1 p.m. This new production of Puccini’s classic stars Sonya Yoncheva as the title prima donna alongside Vittorio Grigolo as her revolutionary artist lover Cavaradossi and Željko Lučić as chief of police Scarpia. Sir David McVicar’s ravishing production is set in 1800 Rome, where painter Cavaradossi helps the escaped political prisoner Angelotti hide from the police while his jealous lover, opera diva Floria Tosca, suspects him of being unfaithful. Semiramide (Rossini) – Sunday, July 8 at 1 p.m. This masterpiece of dazzling vocal fireworks makes a rare Met appearance – its first in nearly 25 years – with Maurizio Benini on the podium. The all-star bel canto cast features Angela Meade in the title role of the murderous Queen of Babylon, who squares off in breathtaking duets with Arsace, a trouser role sung by Elizabeth DeShong. Javier Camarena, Ildar Abdrazakov, and Ryan Speedo Green complete the stellar cast. Cosí Fan Tutte (Mozart) – Sunday, July 29 at 1 p.m. Phelim McDermott’s clever vision of Mozart’s comedy about the sexes is set in New York City, with a carnival-esque environment inspired by 1950s Coney Island. Manipulating the action are the Don Alfonso of Christopher Maltman and the Despina of Tony Award–winner Kelli O’Hara, with Amanda Majeski, Serena Malfi, Ben Bliss, and Adam Plachetka as the pairs of young lovers who test each other’s faithfulness. David Robertson conducts the new production. Luisa Miller (Verdi) – Sunday, August 12 at 1 p.m. James Levine and Plácido Domingo add yet another chapter to their legendary Met collaboration with this rarely performed Verdi gem, a heart-wrenching tragedy of fatherly love. Sonya Yoncheva sings the title role opposite Piotr Beczała in the first Met performances of the opera in more than ten years. Cendrillon (Massenet) – Sunday, September 9 at 1 p.m. For the first time ever, Massenet’s sumptuous take on the Cinderella story comes to the Met. Joyce DiDonato stars in the title role, with mezzo-soprano Alice Coote in the trouser role of Prince Charming, Kathleen Kim as the Fairy Godmother, and Stephanie Blythe as the imperious Madame de la Haltière. Bertrand de Billy conducts Laurent Pelly’s imaginative storybook production. Subscribe to the Great Performances newsletter to learn about upcoming broadcasts. Of course it’s possible to listen to the opera without leaving your home, office or car (a perfect place to sing along). In 1931 the Metropolitan Opera became the first opera house to broadcast Saturday matinees over the radio – a tradition that continues to this day locally on WQXR in New York City. Met Opera Radio is available on-air and online, and shares live broadcasts and archival recordings daily. Live in HD performances are broadcast via movie houses across the country (the same are broadcast at a later date on public television through Great Performances at the Met). Live in HD is the Met Opera’s national movie theater transmissions that run from the fall through spring, with summer encores. Scores of cinemas participate in the New York metropolitan region. Movie theaters around the world host summer encores of Puccini’s Madama Butterfly, Verdi’s Il Trovatore, Tchaikovsky’s Eugene Onegin, and Puccini’s Turandot. If money is no object, we trust that you’ll find a way to purchase the best orchestra seats at the Met, and even pre-book a swiftly executed intermission meal on the Grand Tier. For those testing the waters and seeking less expensive seats, note that even the fifth balcony (Family Circle) has fine sight lines and acoustics. Day-of online rush tickets for orchestra seats are $25-$30 and standing room tickets are similarly priced. Season 2018-19 tickets for four new productions, the Ring cycle and repertory favorites go on sale to the general public on June 24; see all ticket options. 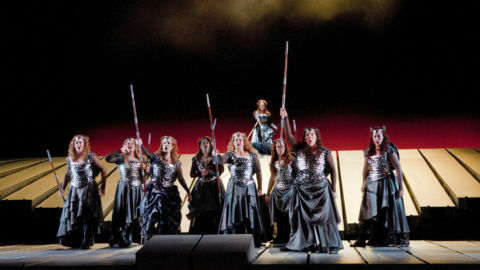 The Metropolitan Opera productions are sung in any variety of languages, and while performers can project the narratives of delight, despair, rage and elation to the highest balcony (the Family Circle) in the house, the specifics of the characters’ passions can be a mystery if you don’t understand the language. The benefits of attending a live performance at the Met Opera are obvious, but here’s a simple, free convenience to note: all productions receive simultaneous translation into English, Spanish, and German (Italian ones get Italian, too), which are available as subtitles. On the back of each seat and most standing room locations is an individually-controlled and discrete Met Titles screen. 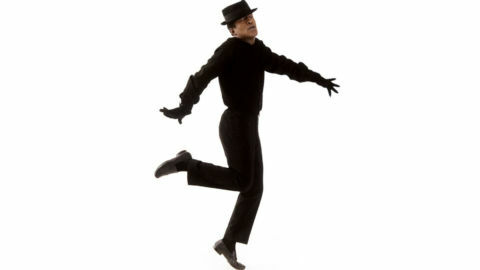 Each audience member can choose whether to display the words being sung, and in what language. Great Performances: The Opera House, which premiered May 25, 2018 on PBS, is a two-hour documentary by multiple Emmy Award-winning filmmaker Susan Froemke (Grey Gardens; Lalee’s Kin: The Legacy of Cotton). It surveys a remarkable period of the Metropolitan Opera’s rich history and a time of great change for New York City. The film chronicles the creation of the Met’s storied Lincoln Center home of the last 50 years, set against a backdrop of the artists, architects and politicians who shaped the cultural life of New York City in the 1950s and 60s. 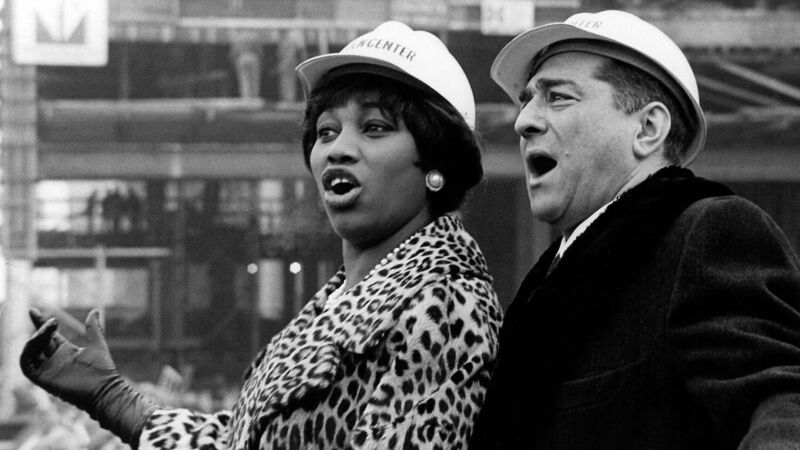 Amongst the notable figures featured in the film are famed soprano Leontyne Price, who opened the Met’s present Opera House in 1966 with a starring role in Samuel Barber’s Antony and Cleopatra; Rudolf Bing, the Met’s imperious general manager who engineered the move from the old house to the new one; Robert Moses, the unstoppable city planner who bulldozed an entire neighborhood to make room for Lincoln Center; and Wallace K. Harrison, whose quest for architectural glory was never fully realized. The episode ended general streaming on June 8 and can still be watched online and OTT devices by PBS station members, through the member benefit Passport. Share your interest (or love) of the opera with other music explorers! See the range of opera blogs you can subscribe to, from The New York Times to Opera Teens. Meet Me at the Opera is a social media platform and digital destination for opera lovers around the world. The site facilitates ways for opera enthusiasts to find each other at opera houses, festivals and screenings.